In an effort to ‘go green’ the Town of Seven Devils stopped sending out the newsletter in the mail after the summer 2011 edition. An announcement will be placed on the Town website when each new edition is available. It will also be available to pick up free of charge at Town Hall. 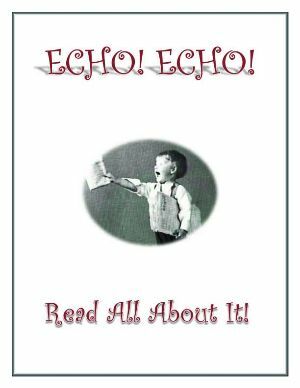 We are excited about this new venture as it allows the ECHO to be viewed as intended: in color! Good question! The Echo includes information from various departments and committees in the Town. We also include information of general interest to residents about personnel changes, Town policies, meetings, and anything else that arises that we believe would be beneficial. So, click on the link and happy reading!